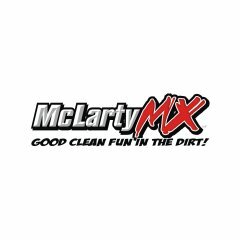 McLartyMX is now holding quad days! McLarty has plenty of parking, clean new facility, new restrooms, basic concessions. Open to quads 1-2 times montly. Fee $20 per rider. Come check us out and enjoy a day on the track. This is under "where to ride your ATV" Since I've not been on this site previously can you help suggest a better forum? We have alot of ATV's around here and none of our tracks allow them on it so I went googling looking for atv forums in order to get the word out. If you could suggest the appropriate forum that would be great. (or did i put it in the wrong area and it's been moved to "where to ride your atv"? that wouldn't surprise me, yesterday I put the milk in the plate cubbard lol) Thanks! Heres my story. Kinda long. I guess I was a late bloomer when it comes to quads. I had never ridden a quad in my life. Rode Dirt Bikes as a kid growing up. Back in Oct of '06 I found a Mustang on craigslist. Took it for a test drive one morning before work. Fast car. 351 Cleveland. I had planned on meeting the guy again after work. For some strange reason thats still to this day beyond me, I stopped in Hillsboro MotoSports on the way home from work. I had 6 Grand on me. There was a left over '05 sitting by the front door. It was on sale for $4999. It was $5499 OTD. I didnt even look at anything else. I knew nothing about quads accept I thought it really looked coool and I had the money in my pocket to buy it. I was sitting on it when the salesman walked up and asked... "Can I help you?" Without hestitation I pulled 60 Ben Franklins outta my front pocket and said "I want this Quad. Load it up in my truck." It was just about dark by the time I drove away from the shop. BTW, I didnt bother to ask my ol lady if I could buy it. LOL. Anyway, I took it by the house and showed her. She was kinda stunned but not mad. We drove over to a friend of mines house and unloaded it. I took it to the field across the street from his house. HOLY CHIT!!!!! I was surprised by the power. I had it for about 2 weeks and took it to Sand Lake. I was there a few hours and rolled it on a banked turn at the top of the bowl right before you get to the one-ways. When it rolled, I flew off and landed on my belly. The quad came bouncing and landed on my back. For a month I couldnt even walk. I was scared of it. I considered trading it for a 250EX. Went back to the shop. The salesman said..."Dude!!! You dont want a 250EX!!! Trust me. Just get used to it" I still wasnt convinced. I put it on craigslist for $4000. Calls were coming in. I had a guy that wanted to come look at it that evening. I decided to take it for one last ride at Browns Camp before I sold it. I was still afraid of it. After about 5 minutes I started feeling comfortable on it again. I decided right then, I loved my Honda 450 and would learn how to ride it instead of selling it. That was late Nov of '06. Work was slow for a Painter in Oregon. My new job everyday? Going to Browns Camp and ridding my Quad. I bought my Girl Friend an '02 Blaster. I rode my 450 for 4-6 hours almost every single day for 3 months. And yes, I know my way around Browns Camp pretty well. LOL. In March I bought her an '06 TRX250EX (Thank God I didnt trade my 450 for one of those) LOL Since then, I have become totally addicted to quads. I love them. Couldnt imagine not owning at least one quad. Luckily I have two. My "07 was $6500 OTD in July of '07. Bought it for my Girlfriend. Traded in her 250 EX. A month later we broke up. So, I wound up with two Honda 450's. Hello, I am new to this site as well as ATV's. I wanted to let everyone know about a new park Rolling Meadows ATV Park in Roanoke AL. They are situated on over 600 acres and it is a great place to ride. Two weeks ago I took my wife and our first and brand new Honda Rubicon. We had a blast. Our intentions were to only ride the trails and take in the scenery. However, after a couple of hours we found our way to the mud. We left with one of the dirtiest machines. Over the weekend of the 4th, we bought another machine. My wife did not like riding on the back. The wife kids and I camped out at Rolling Meadows Atv Park and we had a blast. In fact my kids said they did not want to camp out anywhere else. I would like to state that this is a new park and there is still work to be done. In fact there is a company that is coming out to make some big changes to the park. I am also going out this weekend (July 11th) to work at the park as a volunteer. I hope everyone will come out and support this park and help it to come along faster. 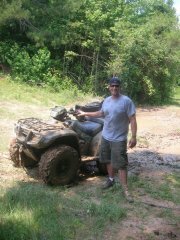 I am looking to get a new ATV trail area ready for riding in the Lineville, AL area. It is south of I-20 below Anniston. We hope to have it on-line this summer.